How many of you out there have been in your industry for longer than 5 years? 10 years? 20? Look, I’m a Millennial (but really, truly an Xennial) and part of what defines us is the sort of “bounce” from industry to industry, job to job — essentially, career building with fast jumps from one thing to the next. I’ve officially been with Exhibits Northwest in Seattle for three years, and in the Trade Show industry for… you guessed it… three years! And last week, I went to my first EXHIBITORLIVE in Las Vegas. Are you ready to hear what this “newbie” thought? It’s a bit trite, but honestly, MAGICAL is the best word to describe it. Literal magic and figurative magic! So, for all of you seasoned pros out there, do me a favor: remember your first real dive into your industry’s deep roots (Trade Show or otherwise) and join me as I tell you about mine. 2.5 years ago, my very first 20×20 island client exhibited in Vegas, and I was on the show floor supervising the install. I knew I needed comfortable shoes, so I did some research and decided Tieks would be cute AND comfy, based on tons of excellent reviews. Here’s what some of you may not know about me: a large part of my identity is SHOES. I’ve worked in the high-end shoe world, and I’m a bit of an admitted shoe snob. And at the time, I did not really own a pair of sneakers that didn’t look like I had them for 10+ years (because they were literally that old and I wore them to do house projects involving paint). Nor did I want to buy or wear sneakers in a professional public place! Well, after walking 20 miles in 2 days in the Mandalay Bay Convention Center, wearing little flats and walking on concrete floors, my entire body felt like I was 85 years old with bad hips. Oh, man. Lesson learned! I still love my Teiks, but my eyes were opened — I needed supportive sneakers. So, while I still want to look cute (sneakers are not my favorite shoe genre), I have learned the MAGIC of sneakers on the trade show floor! This time, I walked and walked all over EXHIBITORLIVE between Mandalay Bay Convention Center and Luxor, and I wasn’t waddling through the airport upon my departure. WIN! When your feet are happy, you can focus on making connections, saying yes to that walk back across the show floor or to drinks with a vendor. But I’m still on the hunt for shoes that are fab and feel like pillows… hmmm. Events are full of behind the curtain magic. 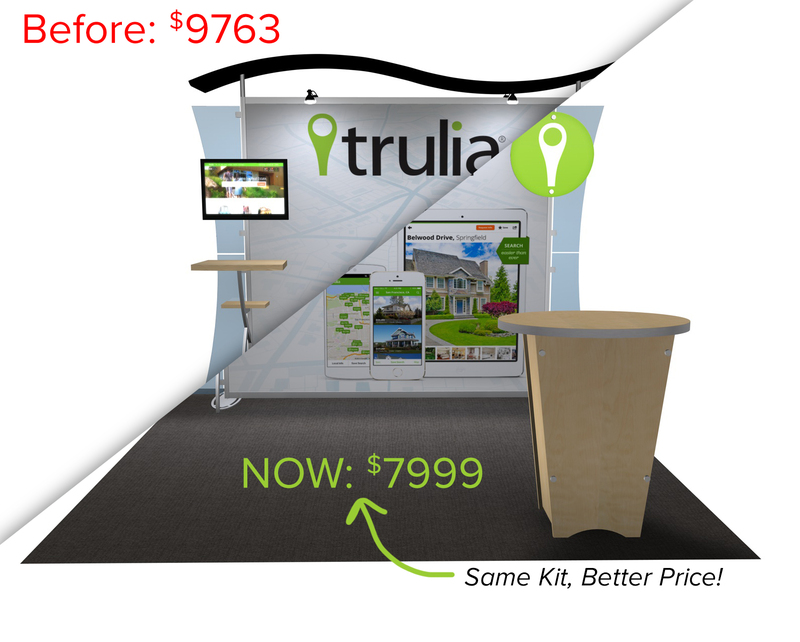 Trade Shows are no different. Walk behind a booth or look in the closet, and you’ll find electrical outlets and cords, laptop bags, extra swag and maybe even a person sneaking in a phone call or work! But what’s really cool is seeing what makes the display work: What’s behind the graphic? What’s behind that pipe and drape? What’s under the flooring? Admittedly, Exhibits Northwest does not (yet!) specialize in large format video tech — think, Giant LED Media Wall. We refer or outsource these needs for our clients, so I’ve always been a little hands-off about taking ownership of a Media Wall as part of an exhibit strategy. But, being able to see behind the curtain (literally), to get a better understanding of how it works and how to explain to and prepare my clients for the cost (dollah dollah bills, y’all!) really helped me put some puzzle-pieces together. I slipped behind a curtain to use a hidden restroom, and low-and-behold, there was the back of a media wall! Such a great example of the specialized install skill and technology that makes them work. Seeing a Media Wall is impressive, but the cost, time and technical skill involved in making it happen is taken for granted by the audience. There were also other cool tech innovations (moving image and RGB lightboxes, digital shadow boxes, and cookies with your printed selfie on them), but what struck me the most was really being able to see a giant Media Wall’s backside secrets! As I said, I’ve been with Exhibits Northwest for three years, but for reasons I can only attribute to time flying by, I never really spent quality time with our team in Portland, namely, our Senior Account Executive, Laura Magdalen. Laura, thank you for being as eager as I was to get to know each other better! We experienced some MAGIC as we found out we have lots in common and can learn from each other. We also got to hang with our newest Portland addition, Bobby Brown. Having meals and walking the show floor together, with our Manager, Michael McCord was beneficial beyond magic. We took our fast 2 days together and made the best of it, bonding over stories about spiders and food we hate. Everyone making fun of me for thinking there were two pyramids in Vegas (yeah yeah, true story, I got confused, ok!?) and laughing together as we watched Laura “schlep” her suitcase around. Bonding as a team is so crucial, and I am thankful for the magic of laughter and comradery. Our friends at Classic Exhibits had a performing Magician in their booth! He blew my mind several times, making me question the existence of mind-reading! Classic Exhibits is certainly “Knot Your Typical Exhibit Builder,” and they had a magician to prove it. His act was clever and thoroughly connected to the theme and message, creating a fun experience that also helped break the ice to make connections with the Classic Exhibits team. Ask me how that magician knew what I wrote on a pad of paper that he wrapped closed in a rubber band? I have no idea. But ask me how Classic Exhibits builds custom booths that impress my clients… well, that is less of a magic act and slight-of-hand, but more like the magic of teamwork. OK, sounds good to me. Thank you for the welcome. I’m often asked by Classic Exhibits Distributors, “How do I promote our branded Exhibit Design Search?” Well, in addition to making it prominent on your website and using it as a sales tool with clients, you should feature it on social media, like Twitter, LinkedIn, Instagram, and even YouTube. Here’s an example. 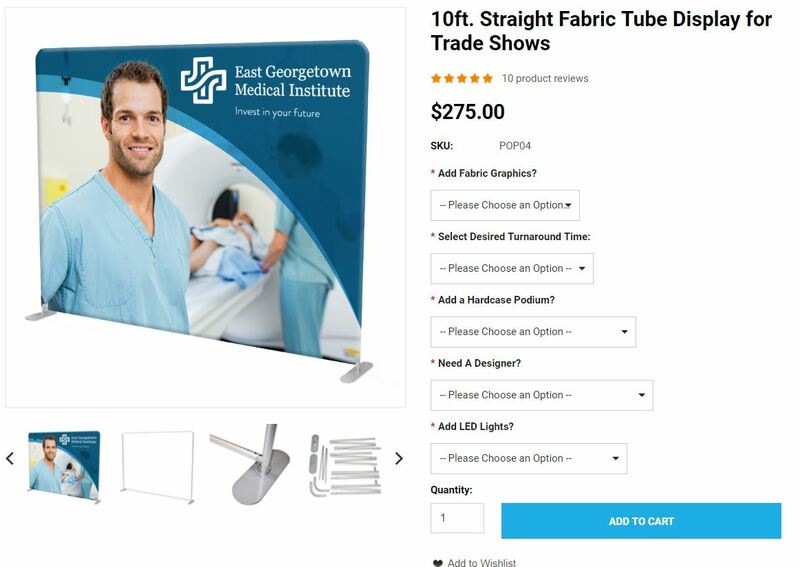 Tim Patterson at TradeshowGuy Exhibits created an EDS tutorial video which he posted on YouTube. He will use it as a sales and marketing resource for existing and potential clients, but just having it on YouTube will also increase the exposure of his company. It’s a straight-forward video and very effective. See for yourself. I’m a sucker for a well-designed, informative Infographic. I appreciate the creative artistry and exhaustive research required for the infographic to be successful. Which is why the “Visual Guide to Trade Show Success” from US Event Management caught my attention. First, it’s beautifully designed. It’s cohesive yet each section is distinct and there’s a practical north/south flow. On top of that, the information is useful and logically arranged. I especially like the “Questions to Consider” which poses questions every exhibitor should ask themselves. Sixteen total tips. Click on the link to Download the Infographic. And our thanks to the folks at US Event Management for creating it. We did our math homework on Sacagawea Portable Hybrid Displays. 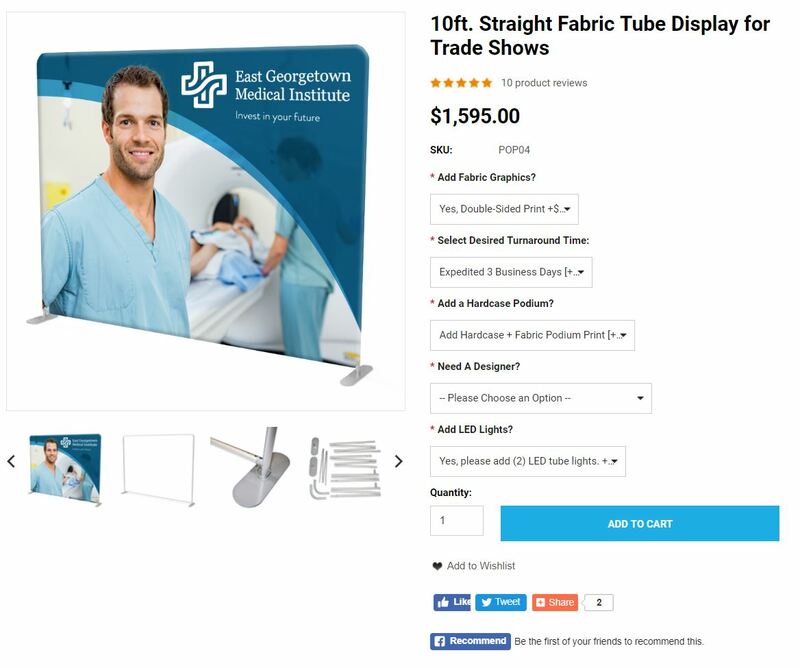 Since 2010, Sacagawea has been our most popular portable display system. Exhibitors have purchased thousands. Literally. And during that time, we continued to make improvements to the packaging, assembly, accessories, and graphics. You have told us repeatedly that no other portable hybrid system matches the Sacagawea for quality, durability, and ease-of-use. 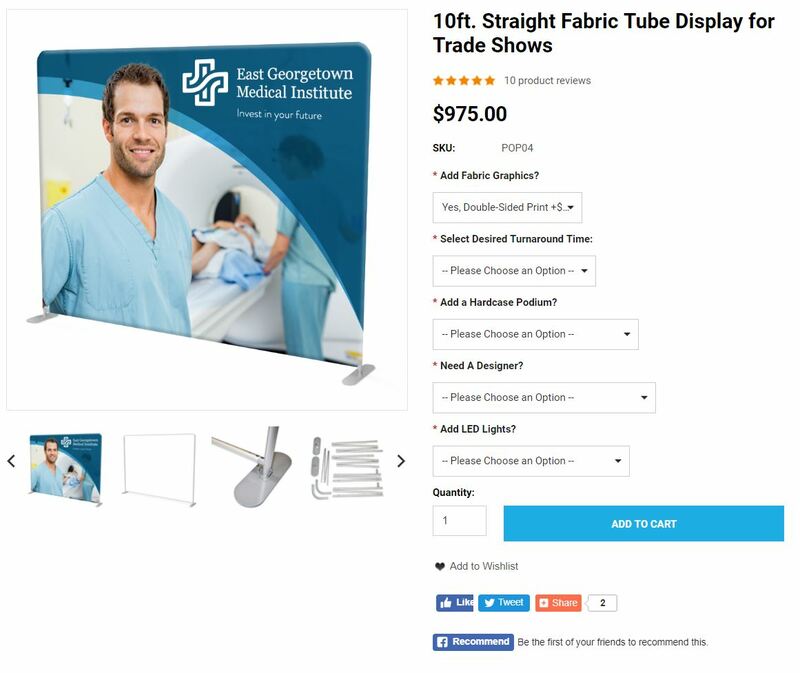 It’s simply the best portable display for your corporate clients. Back to the math. Like any responsible business, we periodically run the numbers to determine if our margins are holding steady. In fact, the margins on Sacagawea have gotten better, so we decided to (wait for it!) lower the prices. Yes, lower the prices! Not only has our bulk extrusion buying resulted in lower costs, but graphics, assembly, and packaging costs have also gotten better. All the prices have been updated in Exhibit Design Search. We’ve also revised the Sacagawea Price List, which you can download. As a reminder, the Sacagawea comes with the exclusive 100-Day Money Back Guarantee, a guarantee also offered on Perfect 10, Quadro Pop Ups, and Quadro FGS (Floating Graphic System). For more information, we encourage you to watch the videos below or, as always, give us a call.